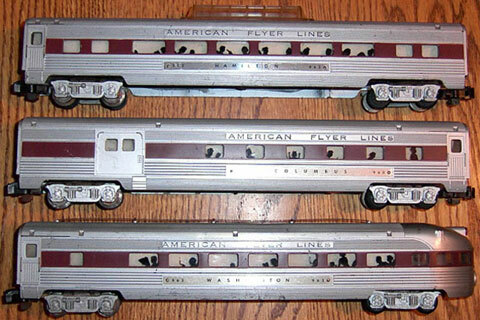 The chestnut brown stripe streamliners were made only in 1954.
the K5469WT Silver Flash, and the K5418T Black Diamond. 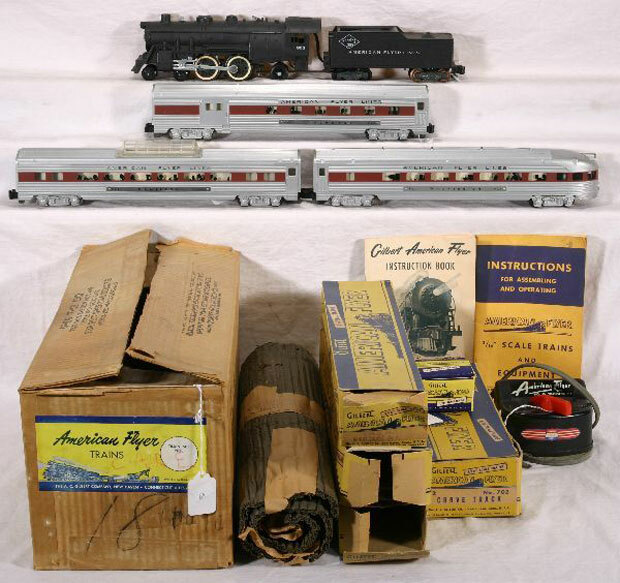 comprised the #960, #961, and #963, but no vista dome car. Until I get a chestnut 961 coach, my red-stripe coach will have to stand in. #K5418T Black Diamond was pulled by the #303 Atlantic steam engine. It comprised the #960, #962, and #963, but no coach car. Until I get a chestnut 962 dome car, my red-stripe dome car will have to stand in.